Meet our New Pal Scorch! 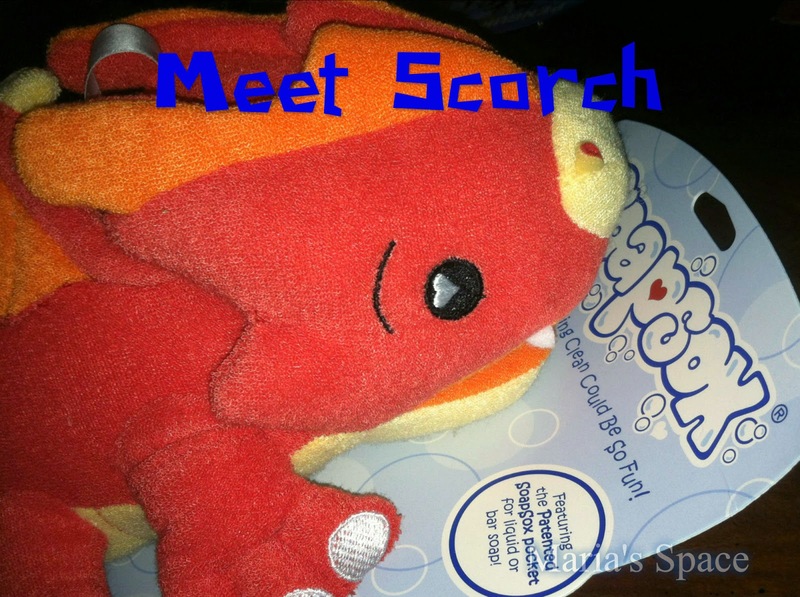 Scorch is just one of the animal washclothes at SoapSox. 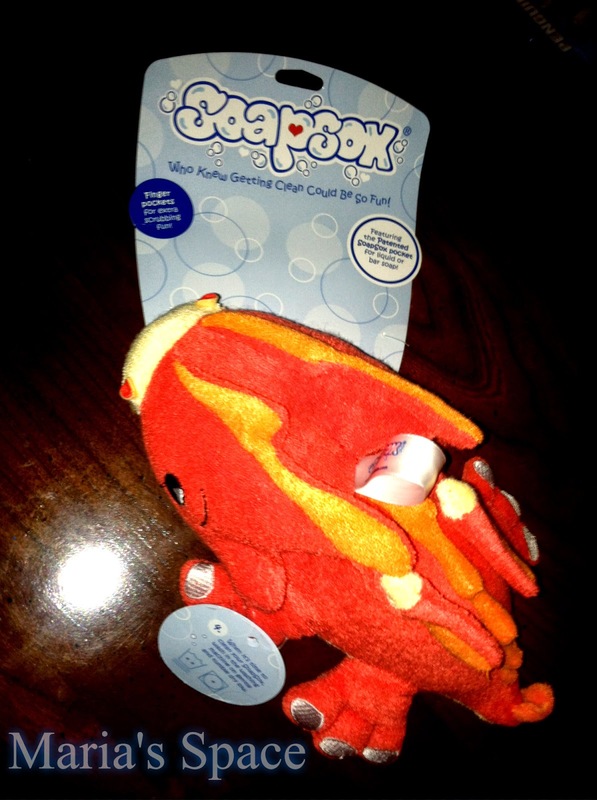 SoapSox are soft, cuddly and colorful characters that make bath time kids’ favorite past time. I remember when bath time was stressful. My kids now love taking showers but many parents have a nightly struggle to get their little ones in the bath. This is why creator Ray Phillips came up with the idea. He was a Program Director at a residential treatment facility with children who have experienced trauma. He saw firsthand the struggle many children have with bath time. 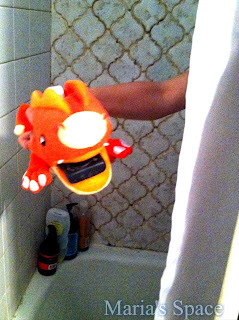 One child in particular would not part with his favorite stuffed animal to get in the bath so Ray modified the stuffed animal to hold soap. The child finally agreed to take a bath. Each SoapSox has a unique entry point for liquid or bar soap. Simply “feed” your SoapSox pal soap, add water and scrub. Built-in finger pockets make it easy for kids to suds up and clean up. Every SoapSox is “stuffed” with an antimicrobial sponge on the inside and covered with soft yet durable polyester terry cloth on the outside so it can easily be popped in the washer and dryer. 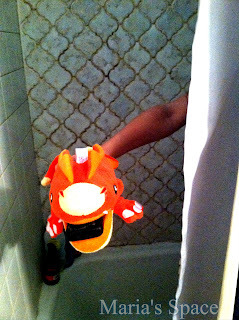 SoapSox provide a sense of security for children who are reluctant to take a bath. 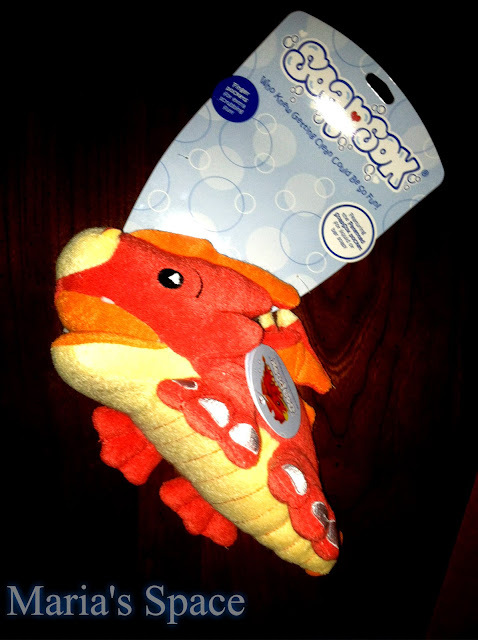 A child can take their SoapSox critter with them anywhere—from playtime, to bath time to nighttime. They never have to be apart! Winner of the 2014 Innovation Award from JPMA. Each purchase of SoapSox gives back to organizations that provide safe places for children. While my 10 year old is much older then the children this was created for, she is no less thrilled to share the bath with this adorable creature. When she is done with him she simply lets him sit on the hot and cold knobs to dry out. He does have a band to which he can hang him with but I don't have a hook yet. I will be getting one that is at her level so she can hang him up nightly. Splash, Emma and Ava. The hardest part was that she wanted to sleep with him the first night but he wasn't dry yet. She loves that the soap fits in his mouth. I love that I didn't hear the soap fall a million and one times while she was taking a bath. You can even use liquid soap! You can find SoapSox at Nordstrom, Buy Buy Baby, Bed Bath & Beyond and many other stores around the country and retail for $14.95. Disclaimer: Sponsored Post. I received a complimentary product for my honest opinion. SoapSox are really cute. I bet children will love taking baths with them. These SoapSox are the cutest things! Those finger pockets are a great idea! So cute! This would make bath time fun! Scortch is so cute! My grandson would love to take a bath with this. This would be fun for them to play with in the bath tub. These are not only cute for kids but easy to clean.